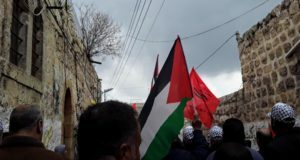 Two residents of the West Bank Palestinian village of Qadum filed a High Court petition against the Israel Defense Forces on Tuesday asking that it overturn a military appellate board decision and order a Kedumim settler who they claim invaded their land to return it to them. The petition was filed with the assistance of the Yesh Din human rights organization. According to the brief, the two realized the settler invaded their property in May 2007, fencing off some of their agricultural land as his own, planting hundreds of plants and setting up irrigation devices. In August 2007, the Civil Administration issued an eviction order against the man, who, in turn, asked the military appellate board to override the decision, claiming he had been working the land for 10 years. His motion was granted in March 2009. 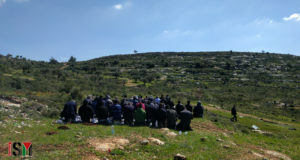 The plaintiffs claim that the land in question was private Palestinian property, which is outside of Kedumim’s municipal jurisdiction, and that the board’s decision did not take into account the fact that the settler could not substantiate his claim of proprietary. “The board’s decision backs systematic and aggressive land theft,” said Yesh Din Attorney Michael Sfard. 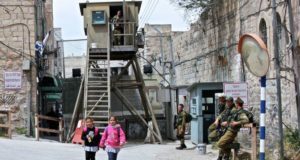 “Letting the decision stand is equal to giving out the death sentence for the rule of law in the West Bank.